Provides space for a small logo or initials, which is ideal for inspection stamps or loyalty stamps or for handstamps for clubs. Well known for quality and ease-of-use, Colop Self-Inking Rubber Stamps constructed from tough heavy-duty plastic will give you the most reliable impressions possible for years to come. Fitted with a built-in ink pad, which is easily replaced adding to the life of the stamp. Ink pad colours available: black, red, blue, green, violet. The stamp will print thousands of impressions before a replacement ink pad is needed. The ink is for matt paper or card. For glossy surfaces choose the uninked inkpad and choose Quick drying ink 809. 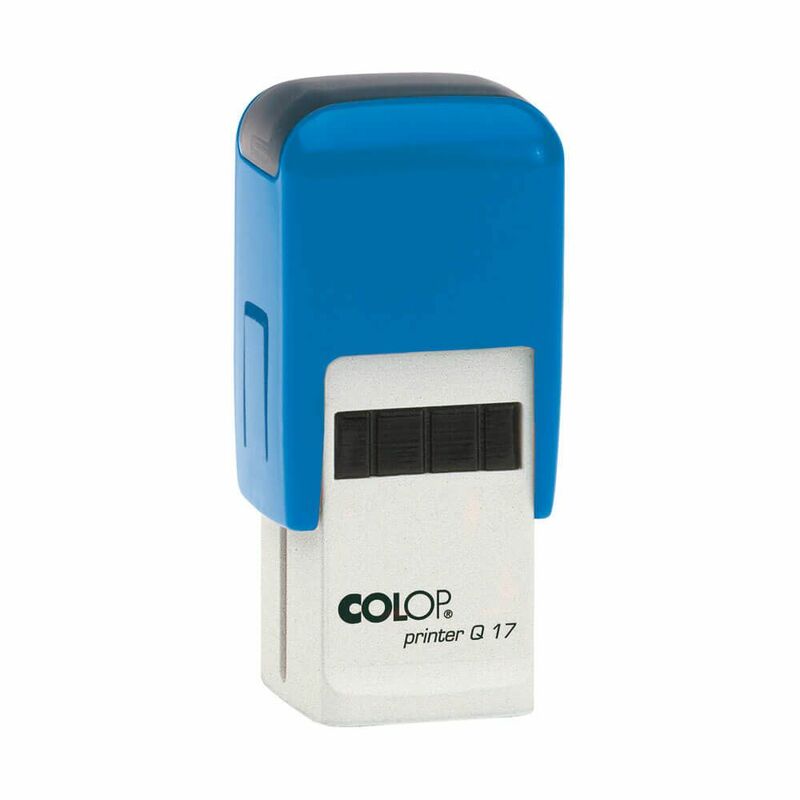 Spare ink pad code E/Q17.